12/22/2016 - Boynton Beach (FL) – Now serving Palm Beach County and the cities of Parkland, Coral Springs and Deerfield Beach, Senior Care Authority helps senior and their families find the best assisted living communities and residential care homes. Senior Care Authority has a ​national network of advisors helping families locate the best long-term care options for their loved ones, including assisted living, residential care homes memory care, in-home care and skilled nursing. After working almost 30 years for leading Fortune 1000 companies, Jodi Glacer, owner of ​Senior Care Authority Palm Beach County, brings her experiences to support individuals and families who are facing life changing decisions for themselves or a family member. There is no cost to families for Jodi’s placement services. Instead, she earns a fee from the facility after a placement is made. “Through my own life experiences and those of friends and loved ones, I have become aware of how important health and life decisions become as we age. Senior Care Authority offers me the opportunity to use my strengths and experience in a meaningful way to support individuals and families to navigate through very necessary, but challenging decisions on elder care options,” Ms. Glacer said, “I want to make the transition as smooth as possible and will only recommend options that best fit your care needs, budget and personal preferences,” she added. 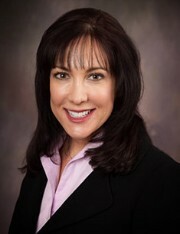 Ms. Glacer is a long time native of south Florida who graduated from the University of Central Florida in Orlando. After college she moved to Atlanta, but returned to South Florida following 9/11; she realized she wanted to spend time with her parents and oversee their care. She has lived in Palm Beach ​County for over 14 years now, where her Aunt and several dear friends’ relatives in Florida had experienced placement difficulties during illnesses that required assisted living. Her professional background along with her compassion to serve the needs of elders allows her to assist seniors in finding the right fit. She now spends much of her time touring and reviewing local senior communities – including assisted living, independent living, memory care, and residential care homes. Jodi Glacer will assist each family throug​h the process of visiting a selection of communities and residential care homes, based on the family’s requirement, and support them in making the best, most informed decisions. She can also continue to mentor families on an ongoing basis once a new home is selected.